There’s a saying inside our church, a reminder to everyone who is heavily involved in ministry, it goes something like this, “Do not neglect your vineyard“. It’s a stern reminder to all of us, workers, leaders, and ministry heads, our vineyard is our priority. The vineyard means our hearts, it usually refers to the state of our hearts, our relationship with the Lord. “Do not neglect your own vineyard,” I can hear it ringing in my ears right now. More often than not, it’s the people who are involved in ministry that are usually burnt out. Like the 5 foolish bridesmaids whose lamps have stopped burning (Matthew 25:1-13), those who are involved in ministry often forget to bring extra oil, we often forget to cultivate our own intimacy with the Lord. We busy ourselves with ministry work but our own hearts go uncultivated, just like the writer of Song of Songs (Song of Songs 1:6). We minister to others, but we forget to minister to ourselves. We pray for others to draw near to the Lord, but our own walk we do not pray for. We help others deal with their issues, but our own issues we do not deal with. We encourage others to read the Word, but we ourselves forget to do devotions. Yes, “we” because I, too, am guilty of this. 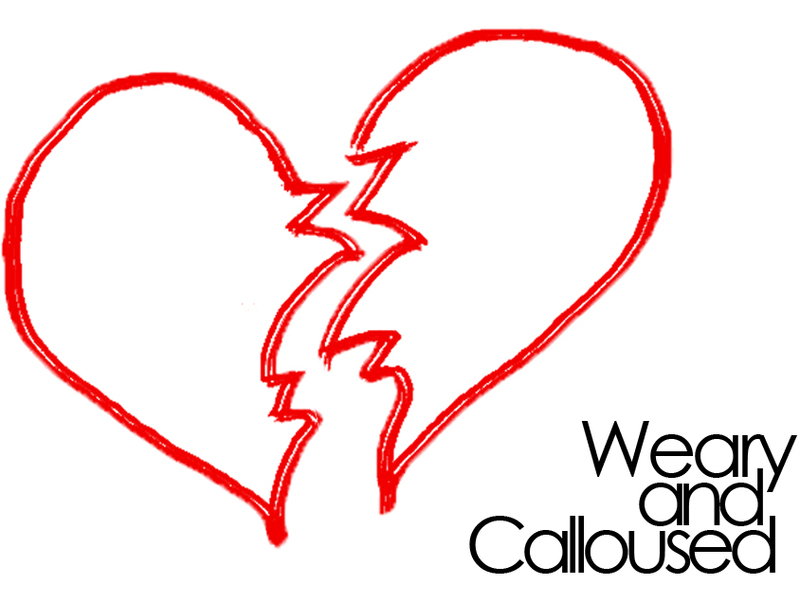 What Does a Calloused Heart Look Like? We start complaining, “Lord, what about him? Why are you not telling him to do this?!”. Just like Martha we start to point our finger to our brothers and sisters (Luke 10:38-42). What about him, Lord? What about her? Why am I do I only one doing the Work? We start to grumble and compare. And soon, because of all the complaining, all the hidden issues, all the welled up anger, we begin to grow calloused. We begin to grow numb. A calloused heart is a heart that does not know the word Thank You. I’m saying this not only to you, but also to myself because I tend to complain a lot. And a calloused heart is a heart that only knows how to complain and how to grumble. The only cure, the only solution, the only answer to a calloused heart is to cultivate intimacy with the Lord. And the only way you can do that is if you intentionally spend time listening to the heart of Jesus. Just go back to the basics, sit at the feet of Jesus and listen to what He is trying to tell you. Remember His invitation, “Come to me all who are weary and I will give you rest.” (Matthew 11:28) Just go back at the foot of the cross and lay everything down. Jesus will give us rest. And He will restore our hearts. The only cure to a calloused heart is to allow Jesus to transform it into a heart like His. Very insightful and to the point. I am reco very from the heartened heart and this came in time just befo’re I found myself back there especially in my marriage. May the Lord continue to bless you and your work.